Throughout Memorial Day Weekend, we will be celebrating the All-American Corn Dog! During daytime at the King’s Tavern and Ocean Terrace Grille, Executive Chef Jason Brumfiel and his staff will prepare the delicious traditional American treat for our guests. A Kosher all-beef frank (third-pound for adults, quarter-pound for kids) will be dipped in golden cornmeal batter and fried. The side item? 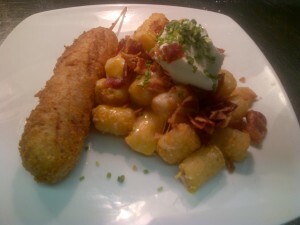 Tater tots, plain or “loaded” with cheese, bacon and sour cream. 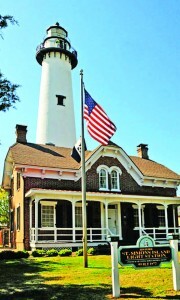 Saint Simon’s Island is rich with history. Colonial history. Civil War history. Religious history. Family histories. It is an island filled with stories, some of which, it seems, have not yet ended. They say she wanders the beaches and roads of Saint Simon’s Island. She wears a long white dress, a wedding dress. Her dress is wet, and clings to her slender body. Her long hair flows behind her. It is wet, always wet. You might see her from the tall windows of the restaurant at the King and Prince Beach and Golf Resort or spot her from the pool patio right on the beachfront as she wanders by in the moonlight. She sometimes walks through Massengale Park. It’s been said that sometimes she’s seen in the marsh. Her name is Mary. Some people call her Sad Mary. She is dolorous, lost. It is said that she was soon to be wed to her true love, but as he rowed his boat across a wide creek to fetch her, the wind and waves overcame him. His boat capsized, and he drowned. 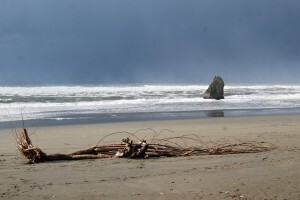 Waiting on the shore, Mary witnessed the disaster, and threw herself into the waves. Perhaps she was attempting to save him. Some say that she knew she could not, and went to be with him rather than face a life without him. She wanders the island now, searching. She is elusive, but often encountered. She walked towards a man on the beach one night. He was puzzled at the pretty girl walking slowly with her head down, dressed so oddly. As he passed, she raised her head as if to search his face for a sign of recognition. But she, herself, had no face. He looked away, shocked, but when he looked back, she was gone. History tells us America’s witch hunts centered around northeastern towns like Salem, Mass. Sadly, the madness made its way one day to Saint Simon’s Island, and what could have been a fanciful story of love transcending death ended, instead, in tragedy. In the plantation times, young Margaret was hired by the plantation owners to be a schoolmarm to their children. She was an off-islander, but had attended the best schools, and was a sophisticated European traveler. She was a perfect fit for the gentile aristocracy of the island. When she arrived she began to teach, and everyone was thrilled. As time went on, however, her more worldly point of view challenged the notion that slaves were just chattel; she believed that they, too, deserved an education. Teaching Blacks to read and write was against the law of the time. Slaveowners feared an educated slave population that might rise up against them. But Margaret was headstrong, and took to teaching Black children at night after the plantation children had gone home. This did not go unnoticed by the plantation owners, but they looked the other way since they were so happy with the work she was doing with their own children. However, she had earned their mistrust, and they kept a wary eye on her. Of all her students, Joshua was her favorite. He was a slave boy, sharp, inquisitive and eager. He had a special love of poetry, and long after the other children had gone, he would stay behind and beg Margaret to read poetry to him. She readily obliged, sitting in a chair by the window where he stood outside, listening. This, too, did not go unnoticed as their friendship grew. Soon after, there was a slave uprising on one of the plantations. It was quickly and cruelly suppressed, but the rage of the plantation owners and their crews knew no bounds. Marauding bands of white men attacked black slave towns, tearing into homes, randomly beating and killing in reprisal. 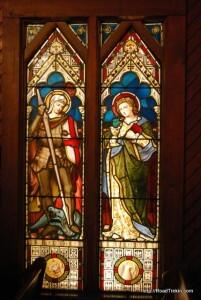 Rising to defend his mother, Joshua was clubbed to death. Margaret was stricken by the news, and isolated herself, only going to the schoolhouse to teach her lessons. Otherwise, she would wander the island roads and paths to avoid contact with other people. Her behavior became more worrisome, erratic. One day, a large black raven seemed to be following her. It was there wherever she went. It would perch on the windowsill where she used to read to Joshua. It would follow her to and from the schoolhouse. One afternoon, after the children had gone home, and still very much missing Joshua, she sat in the chair by the window and began to read poetry. The raven bobbed his head up and down, and it seemed to her that he was listening attentively, as Joshua had done. She began to read to the raven every day after school, perhaps as a way to ease her grief. Some children returned to the school late one afternoon and saw her by the window reading to the bird, which nodded its head up and down, seemingly in the rhythm of the rhyme. The children screamed home and told their parents that Margaret was a witch, and had brought the little black boy Joshua back to life as a bird. Few parents today would believe such a tale, but Saint Simon’s Island in the early 1800’s was a fiercely religious and superstitious place. Margaret had already proven rebellious with her worldly views, disregard of the law, and her increasingly odd behavior. Some went the next afternoon to see for themselves, and they spied Margaret reading to the raven, smiling at him, and watched him seem to knowingly respond. They were angered and terrified, and reported what they saw to the rest of the islanders, that Margaret was a witch. Not long after, an angry mob dragged Margaret from her home and killed her, leaving her body to scavengers. Her remains were refused burial at Christ Church and no other cemetery would accept her. Finally, one sympathetic landowner allocated a tiny plot by the side of the main road, and she was buried there, friendless and abandoned. It is said that nothing grows around her lonely grave. Stories of love, tragedy, and treachery abound on this historic island. See for yourself. Let the concierge at the King and Prince Beach & Golf Resort arrange a ghost tour with Lighthouse Trolleys. Pick a dark and stormy night, and contact www.kingandprince.com. Romance abounds on barrier island beaches. The pounding of the surf is like a beating heart. The sunrise from the east is like new love dawning. Quiet moments on the sand rejuvenate and rekindle dormant, forgotten, or just time burdened feelings. 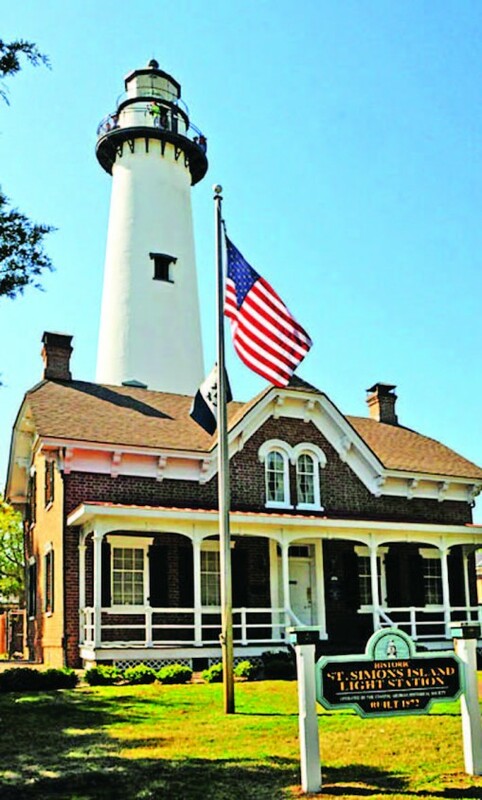 But true romance, the romance of legend, can be found in a tale of Georgia’s Saint Simons Island. It is both shocking and sweet, heartbreaking and enlightening. 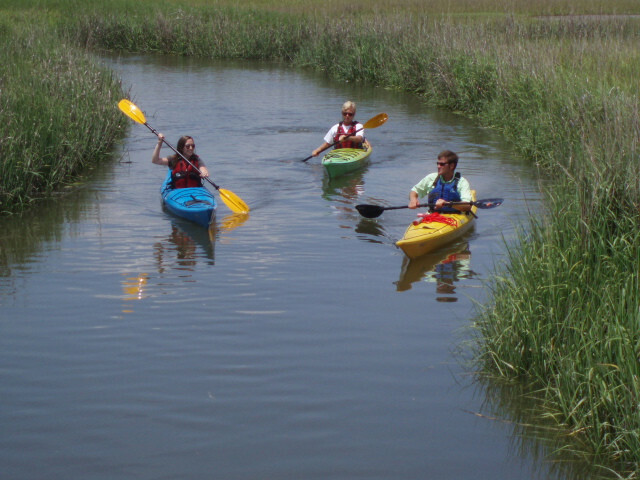 After a breakfast buffet at the oceanfront dining room at the famed King and Prince Beach and Golf Resort, it’s a short drive or a flat, easy seven mile bike ride to Christ Church, on the road to historic Fort Frederica. 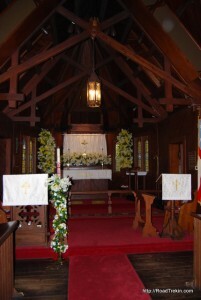 Christ Church has a history as distinctive as its beautiful grounds and sanctuary. The original Christ Church was built in 1820. From 1736 to 1766, its early congregations were led by, among others, Charles and John Wesley, before their return to England and the advent of Methodism. A museum of their short sojourn can be found at Epworth-by-the-Sea, on historic Gascoigne Bluff, which plays prominently in the tale. Anson Greene Phelps Dodge, a wealthy industrialist from Connecticut, became a major landholder on Saint Simons Island in those times. Dodge made untold riches harvesting the mighty southern oaks that populated the island’s forests. 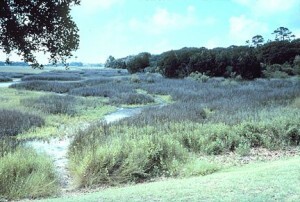 His lumber works, shipbuilding enterprises and ship’s landings were at Gascoigne Bluff on the Frederica River. The original Christ Church was built to provide a place of worship for the small city of lumber workers, seamen, shipwrights and their families in the Dodge enterprise. During the Civil War, however, Union troops took over the old church, bivouacked their men on the lawns and used the inside of the church as stables for the officer’s horses. The decimated and abandoned church remained a shambles well after the “Late Unpleasantness Between the States” had ended. At about that time, the young scion of the family, Anson Greene Phelps Dodge, Junior had decided that he was neither lumberjack nor shipbuilder. Determined to enter the clergy, he was sent back to Connecticut to study divinity at Yale. It was there that the books took a back seat to romance, and young Dodge became enamored of a young woman named Ellen Dodge. They fell deeply in love, and pledged to marry. Dodge Junior returned home to secure his father’s blessing to marry the young woman with the awkwardly coincidental last name, and was shocked to learn that she was actually a first cousin. They were accordingly forbidden to wed. This was a judgment that the young lovers could not accept, claiming their love innocent and above any taboo. With money no object, the couple eloped and embarked on a lavish, honeymoon tour of the most exotic extremes of the world. They were abroad for nearly three years of excitement, wonder and bliss. Tragically, while in India, Ellen took sick with cholera. Anson was by her bedside day and night. She begged him never to leave her side, and he promised he would always be beside her. Ellen died in India, little more than a child. In his grief, Anson honored his pledge, and brought her body home to Saint Simon’s Island in 1884, and to Christ Church, which he rebuilt with loving care…the church that sits today on the road to Frederica. True to his word, he had her sarcophagus housed under the altar that he preached from every Sunday, her everlong companion. Years passed, and Anson, still a young man in his early thirties, met Anna Gould, granddaughter of James Gould, who built the first Saint Simon’s lighthouse. They married in 1890 and spent many happy years together. Anson died suddenly in 1898 at only thirty eight years of age. His widow Anna had the remains of his first wife, Ellen, reburied next to her husband, a testament of her own love for him that she honored his promise. Today, the old cemetery at Christ Church includes a Phelps-Dodge family plot where Anson Greene Phelps Dodge Junior lays side-by-side with the two loves of his life, Ellen and Anna. 37 National Parks. 37 Junior Ranger badges (bling). 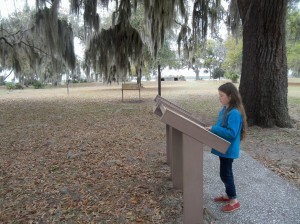 Fort Frederica Most Special. National Parks have been called “America’s Best Idea.” My family wholeheartedly agrees. For the last five years, my wife Kathy and our daughter Whitney have visited 37 National Parks and participated in the Junior Ranger Program. When you complete a Junior Ranger Program at a a National Park, you get a badge. Our family calls it “park bling”. Our journey through America’s National Park System has touched each coast and places in between. We have visited the the Lewis and Clark National Historical Park on Oregon Coast, the Rocky Mountain National Park in Colorado, the Blue Ridge Parkway in North Carolina and Virginia, the National Mall in Washington, DC., and the Tuskegee Airmen National Park in Alabama. 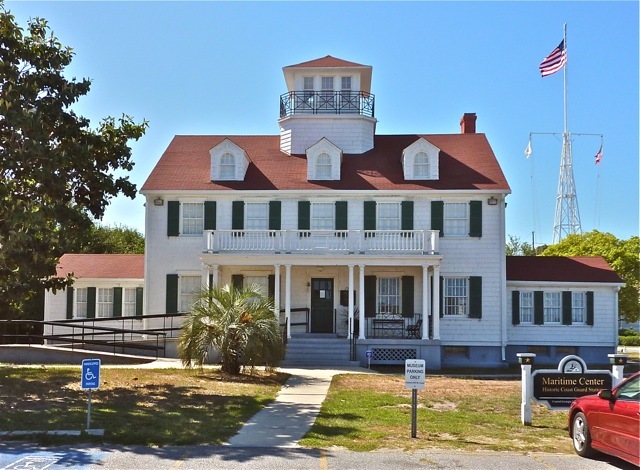 But out of all the National Parks we have visited and Junior Ranger Badges we have earned, Fort Frederica National Monument on St. Simons Island had the most impressive living history program. When my family arrived at the King and Prince Hotel this spring, on top of our itinerary was to visit Fort Frederica. To be frankly honest, my 9 year old daughter was a little bit hesitant. “I don’t like war!” she declared in the backseat of our car during our short ten minute ride to the park from the hotel. Many of the South’s National Parks are connected with the Civil War. And despite its historical significance, my daughter’s recent visit to the Chickamauga and Lookout Mountain Battlefields near Chattanooga, Tennessee were not particularly her favorite parks. 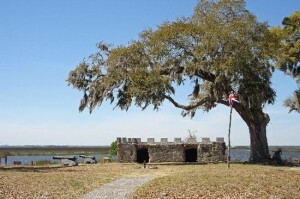 But Fort Frederica was different. Instead of focusing on the brief battles that occurred in Colonial America, the park’s Junior Ranger program brings to life the people who lived there three centuries ago, the settlement and everyday life. 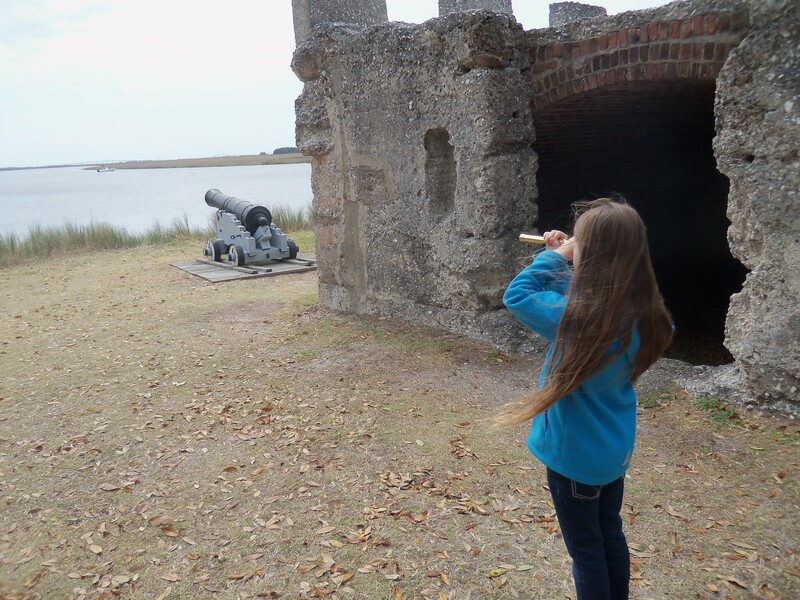 Walking through the park with the Fort Frederica Junior Ranger booklet (it is titled “Open the Door to Explore”) and a bag full of day to day Colonial items, the park turned into a playful scavenger hunt and adventure. Walking among the ruins of the houses and mossy live oaks, we imagined living in the New World. Life as a child, making simple but important things, such as candles. And homes ranging from brick houses for the wealthy to huts made of palmetto leaves constructed by the poor in the community. and imaginative. 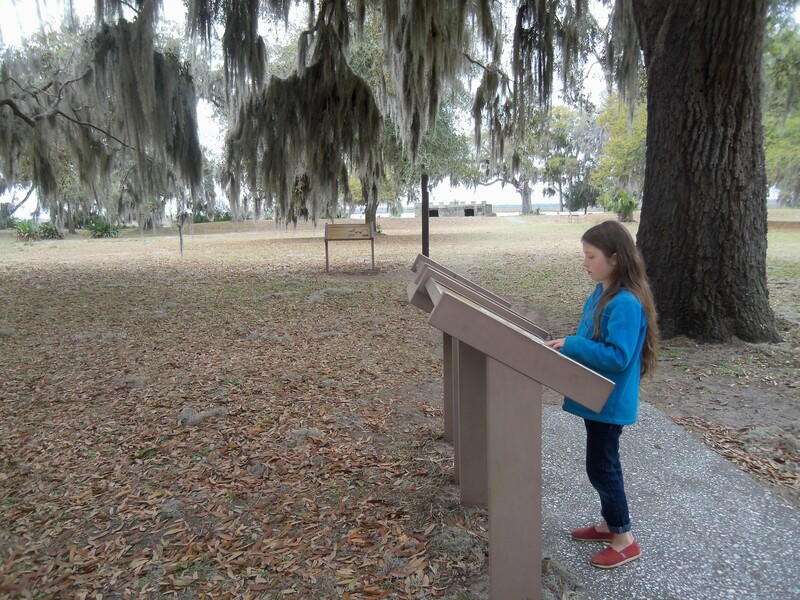 For days, my daughter re-lived the visit, talked about life nearly 300 years ago on St. Simons Island, making candles, running around the ancient trees and playing games. 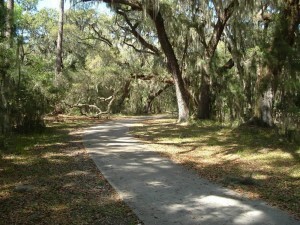 America’s National Parks truly are its “Best Idea.” And Fort Frederica is one of its best parks. Take that advice from a girl that does not like war, but likes to play, live life to the fullest and has 37 Junior Ranger badges. the evening stars. The ocean is either calm and flat, or swirling with the changes of the tides. There are shallows and sandbars, and deep blue channels. Views of water are everywhere, ready to refresh the minds and spirits of weary travelers. Even on holidays, the beach bustles with walkers and runners, children and adults tracing sand patterns with recumbent bikes, Frisbee players and kite flyers. There is always a spot for quiet reflection. A place to watch the changing sea and sand. 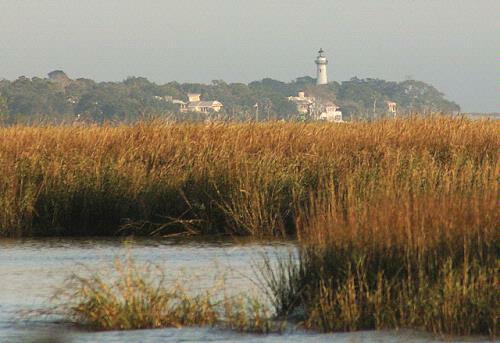 The tides on Saint Simon’s Island range from 8 to 10 feet, the largest tidal range on the East Coast excluding Maine. Sandbars exposed at the lowest tide teem with sea birds, little crabs and creatures…and vacationers who frequently make their way across the small, deeper channels to land there, latter day explorers on a voyage of discovery. Right in front of the fabled King and Prince Resort, which has elegantly stood guard over the beach for 78 years, one can see several of these new worlds. Some sandbars are bare sand; some are just barely awash with warm, ankle deep water. They enclose an inland sea of flat, sun heated water that’s just right for kayaks and the beach rented catamaran sailboats that glide almost silently by. Farther out, too far to walk or wade, but visible from the restaurant’s tall, arched windows, small fishing boats congregate around what the local folk call “Whiting Hole,” a deep indentation in the bottom that is the seasonal home of its namesake. Whiting is a fish that’s deliciously mild and easy to prepare, but just feisty enough not to be too easy to catch on light tackle. Chances are, the pod of dolphins that work the length of East Beach will show up to observe, nature’s oversight on the circle of life that is the sea. The sea is everywhere. After all, it’s an island. The ship channel between Saint Simon’s and historic Jekyll Island carries some of the world’s largest ships; most of America’s east coast automobiles land at Brunswick, GA. These and other enormous cargo carriers pass right by the Saint Simon’s Village pier, almost close enough to touch. As they leave, they angle slightly northward, easily viewed in their majesty from the poolside veranda of the King and Prince. On the island’s west side there are beautiful bays and miles and miles of breathtaking marshes that are the breeding grounds for all the creatures that populate these coastal waters, including the renowned Wild Georgia Shrimp. They say these shrimp are unique in all the world because they are bred in a sea grasses that don’t exist anywhere but in the broad marshes of the Georgia coast. Try a dish of local shrimp & grits for yourself and prepare to be amazed! was the harbor for slavers and ships of commerce since before America’s independence. There isn’t a place on the island that doesn’t somehow look to the sea. Sightseeing abounds; take a bike to the fort, to Christ Church or to the archaeological digs at Fort Frederica (or a great trolley tour!). The sea, or its stories, are a constant presence. Not far north along the beach from the King & Prince, there is a low spit of sand that extends way out into the ocean. 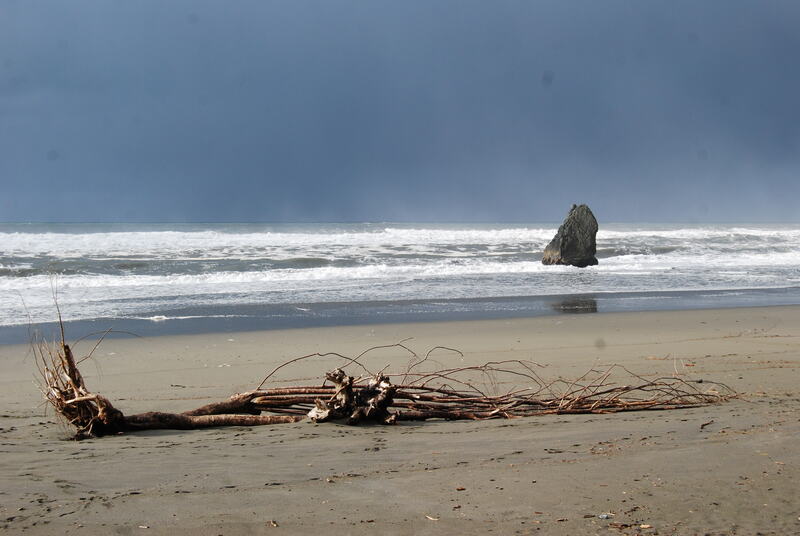 At low tide, you can walk its length, and a moment just before the tide begins to roll back in. There’s a moment, a single, memorable snapshot in time where you’re totally surrounded by water. Where there is nothing but you and the sea and the sky and the salt-scented breeze. Where you are humbled, and small, and joyous in the realization that there is so much grace and beauty so much larger than yourself. Find out more about the beaches and sea at Saint Simon’s Island. Go to www.kingandprince.com.